Zach’s bold and vigorous paintings appear to harness the momentum of mid-century American expressionism, but they have an orderly logic to them: each explosive brushstroke seems to have been carefully placed. The compositions are wildly emotional, while at the same time, meticulously layered. Zach’s paintings can be enjoyed without any backstory, but they often allude to deeply personal memories. An untitled painting by Zachary Keeting from 2010. An untitled painting by Zachary Keeting from 2005. 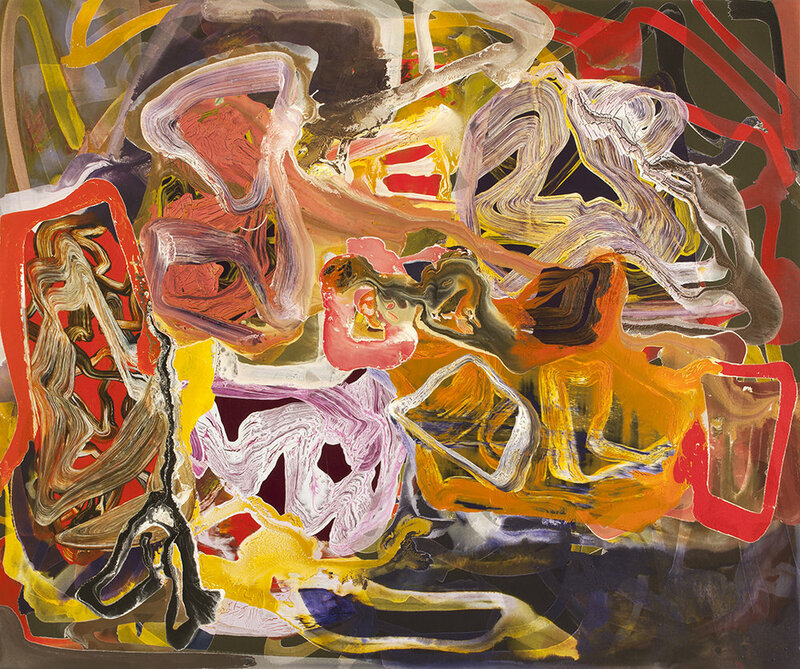 An untitled painting by Zachary Keeting from 2002, painted after losing an arm-wrestling match with the artist’s sister. An untitled painting by Zachary Keeting from 1997. An untitled painting by Zachary Keeting from 1994.